The state of Kerala is abuzz with celebrations and gaiety, after all the grand festival is right here. Of all the events of God’s own country, Onam is one that witnesses the biggest of participation from everyone irrespective of age, caste or creed. A 10 day event, Onam falls in the month of Chingham as per the Malayalam calendar that is any time between the months of August and September. 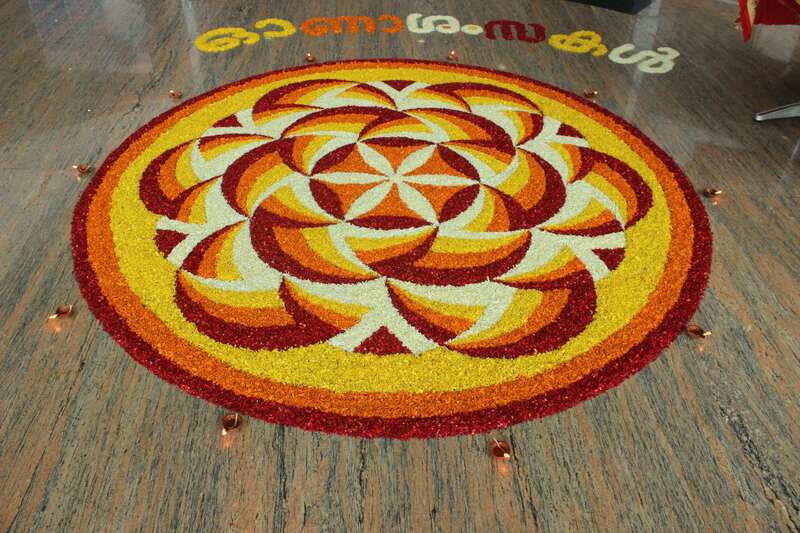 This year, Onam is taking place on 14th September. As part of this, Infopark Cherthala organized a celebration at the venue on 8th September 2016. We were all dressed up in the Kerala traditional attire (Onakodi), women were dressed in saris and men in Mundu. Family members of many employees too came to be a part of our Onam which was a heart-warming experience. 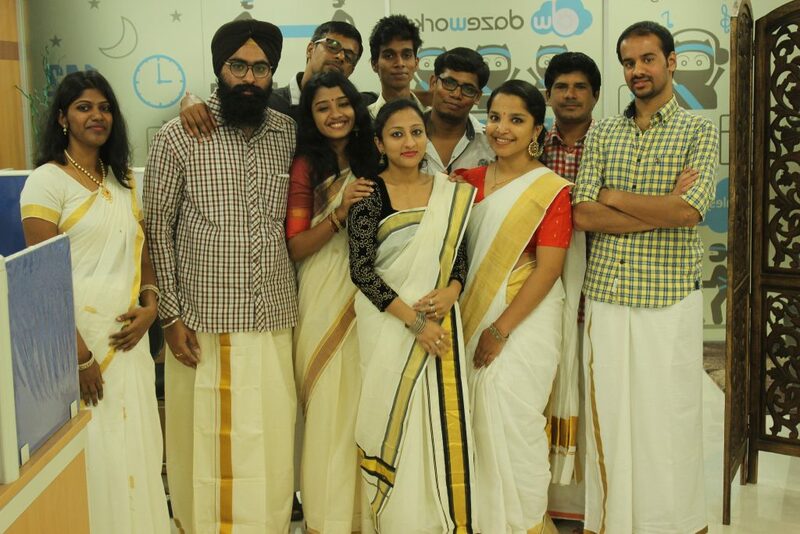 The celebration started with the “Onapookalam” competition for which almost every company in Infopark took part. After this, there was an “Onapattu” competition where many companies gathered up to sing songs based on the festival. This was followed by various other competitions like, musical chair, uriyadi and lemon & spoon race. 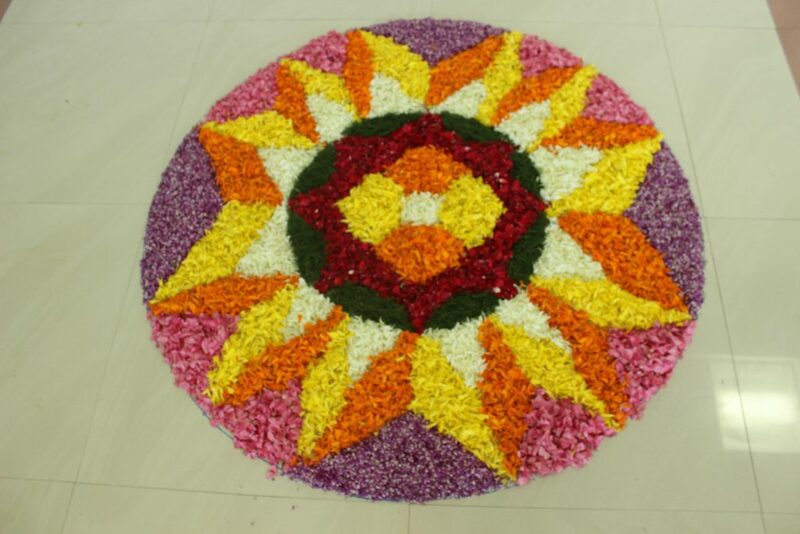 The biggest part of Onam is the “Pookalam” and “Onasadhya”. So at noon, we were served the traditional “Onasadhya”. It was fun to eat with a lot of people rather than being with a small crowd. To bring a wrap to the function, the prize distribution was held in the evening and it came to an end with everybody coming together and dancing to a lot of songs and having a fun time!